Everyday more and more people want to know how to learn Kung Fu. In most cases it’s someone who feels drawn to Kung Fu their entire life. Our very own Sije Jamie Pelaez had a similar calling and is the reason why you are here reading this article right now. Unfortunately, many like Jamie were never able to find a training hall locally also known as a Kwoon near by or one that resonated with them. Maybe you happen to be one of those people who have been searching on the internet for how to learn kung fu online. 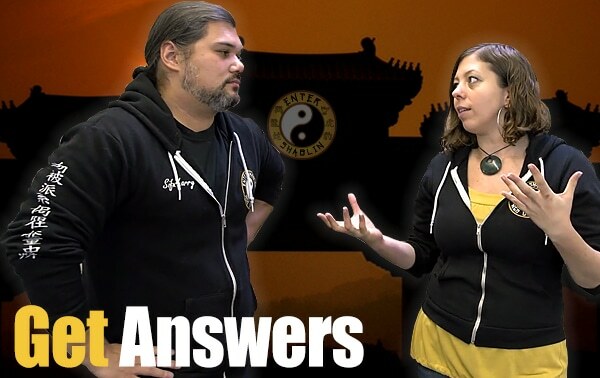 The first question that comes up is: Can someone really learn kung fu online? 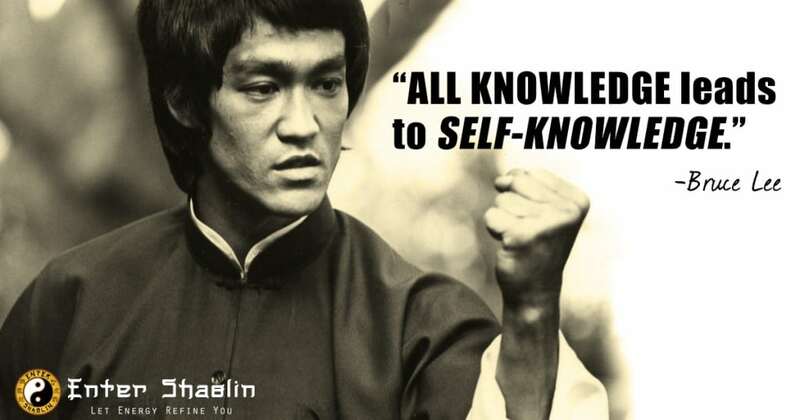 To answer this question you must understand that there are only 3 things you need learn in order to become proficient in Kung Fu, we call this the 3 Pillars of training. The first is training your physical, the second is training your technique and the third is training sensitivity. Here is a short video that goes into more detail about these 3 legs of training. This video is from our member’s Kwoon aka training hall. This is just one of the many lessons you will gain instant access to as a Junior member or higher. 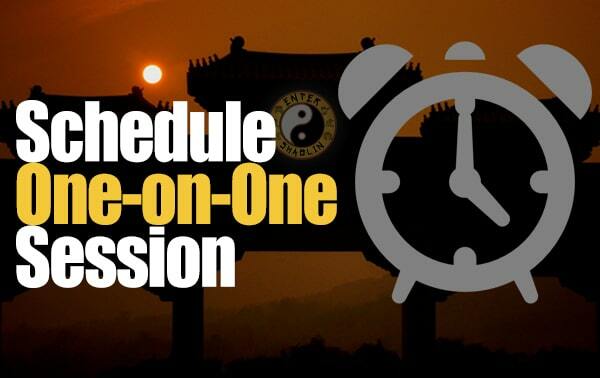 In fact we have over 750 Kung fu lessons and more lessons are being added every week. The good news is you absolutely can do 2/3 of your training online. As for the last part (the sensitivity training), you do need a training partner for that. With that being said, when the time comes, it’s easy to find someone to train with you. 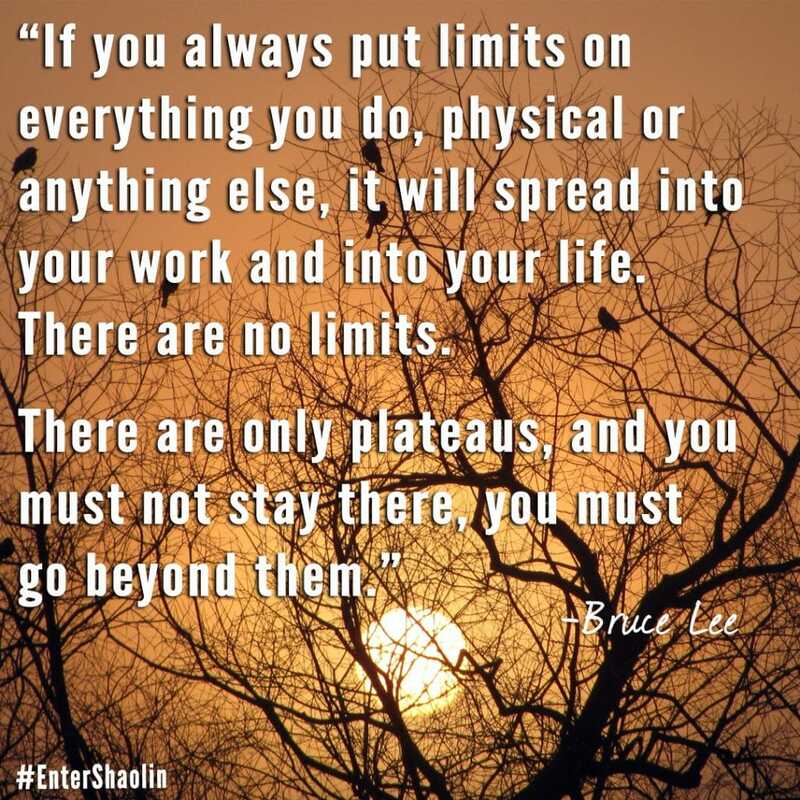 Become a member of Enter Shaolin, we help match up members who are looking for partners. Join our Forum and Slack chat once you become a member to reach out to other’s looking for partners. 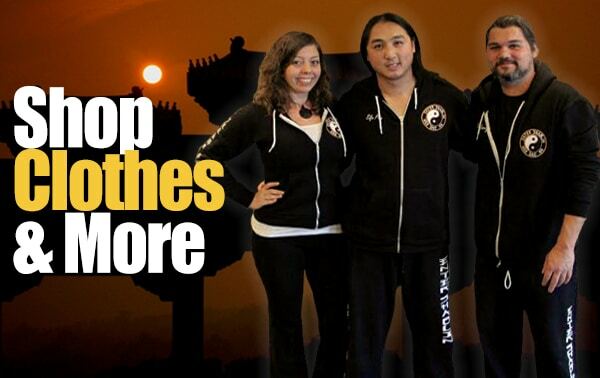 Wear Kung Fu related clothing like I did and see what conversations happen naturally. Ask a friend or loved one to help, even if it’s occasionally, it will help your skill grow! Create a meetup in your area with something like meetup.com, craigslist.com or Facebook groups to find training partners. Post flyers at gyms, parks and other places where people are looking to be better versions of themselves that have bulletin boards. Attend seminars, like the one we are having this September here, it’s a great way to meet potential training partners. Another question that comes up often is: Don’t I need to be trained by a expert/master in person? The advantage of training with a Sifu in person is having the ability to touch hands with someone who has a high level of sensitivity. Having the ability to train with a master in person can quicken the learning curve, but it isn’t the only way thankfully, because finding a master is a rare gem. We are indeed grateful to have Sifu Phu Ngo to be willing to share his knowledge with us and our family around the globe. In truth, there are plenty of people who learned how to fight in the school of hard knocks. In other words, you can simply learn how to fight by fighting. Of course this isn’t the best way to go about acquiring martial art skills, because you or someone else could get hurt pretty badly. The reality is you could theoretically spend the next 2 years training and not need a training partner with all the forms, solo training, C.O.R.E. training and more. And then… When you are ready to start training your sensitivity, you could ask your spouse, friend or other family member. In fact there are ways you can train with your pet and start developing your sensitivity! It didn’t always work out, however I did end up making some life long friends and those friends really helped me become a better martial artist and many of them eventually started calling me Sifu and insisting they give me money for my time as my skill increased. That was just an added bonus! Basically, if you have the will and you really want to know how to learn Kung Fu online, then there is a solution that fits you. Often times you will hear people who train in martial arts say stuff like, “You can’t learn kung fu online.” If this was true, then people wouldn’t have sold VCR tapes back in the 80’s teaching people how to do martial arts without any additional help. At least with an online training facility like Enter Shaolin when you have questions, you can get help. Best wishes getting the same assistance and even having options of video critiques to help your skill grow with a VCR or DVD. And before that, there were books. And somehow people learned from them. 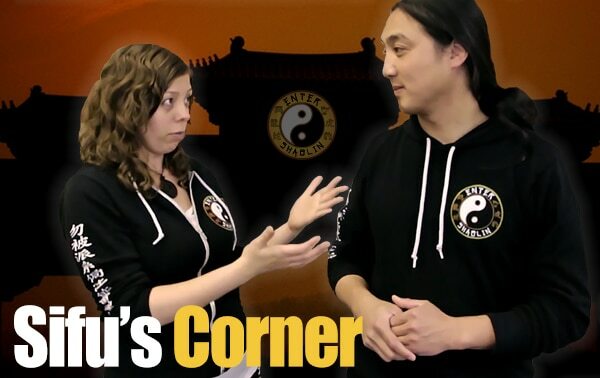 Well if a picture is worth 1,000 words, the how much more is a detailed video and a team ready to help you learn Kung Fu online? Learning from VCR tapes and DVD’s wasn’t bad. Unfortunately learning that way lacked interactive participation. What’s cool about learning online is you can ask questions and get answers in real time. One of the essential pieces of training is having the ability to communicate with your teacher and other students and to get feedback. You can do this online with Enter Shaolin, Sifu Phu, Sije Jamie and myself (Sifu Larry) are here to help. This is our passion to bring you the best Kung Fu training online, with a family ready to help you succeed in your Kung Fu journey. Another question often asked question is: How do I know which online martial arts site to join? 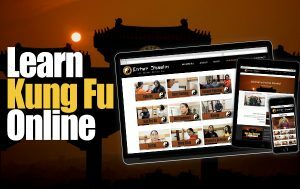 Here at Enter Shaolin we wanted to make 100% sure that you have everything you need to learn Kung Fu online. When you join our martial arts family online as a Junior or above, you get instant access to 750+ training videos AND growing instantly. You get instant access to all our new lessons that we release every single week as well. You also get access to our private forums and our private Slack community. For those of you that don’t know what Slack is, it’s simply a place where our members can communicate with each other on their computers or mobile phones. You can ask Sifu Phu, Sije Jamie or myself a question. You also have the ability to ask other family members their training experiences with Enter Shaolin. You might even be able to find some Enter Shaolin family members who live near you to train with! Warning: You do need to do your research when looking for an online martial art school to join. Some membership sites charge by the video, others only release 1 video a week. We actually give you access to our entire training library the moment you join as a Junior or above. If you choose our Lite option you will still get at least 4 new videos a week via our Ngo Dac Na 101 program. Choose one that resonated with your person training and life goals. If you have any questions, we are here to help. Finally this question gets asked almost daily: I already train in style ______ can I still learn from you? While we teach Wing Chun, Tai Chi, Chin Na, Qigong, Ground Fighting and C.O.R.E. training, we filter them through Ngo Dac Na which is Sifu Phu Ngo’s family system. Ngo Dac Na isn’t a style of techniques, it’s an understanding of how energy and physics works with the body. This energy is universal and can be used in any martial art style. We have family member’s from all walks of lives, from beginner to Sifu or Sensei and a variety of styles. While this knowledge of energy isn’t a secret, not many people know it and even less people can teach it in a way that is easy for other people to understand. 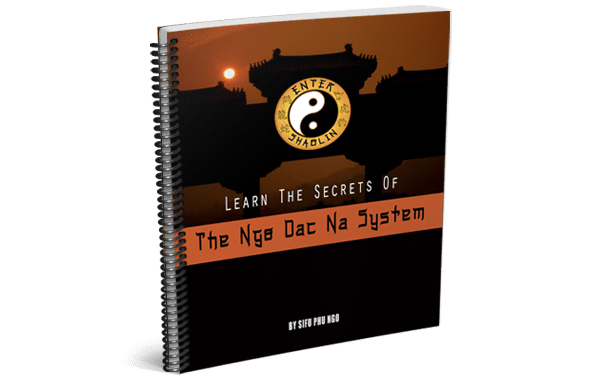 Sifu Phu Ngo leaves no stone unturned and helps you to understand the why’s and why not’s, so you can test what you learn and self-correct if need be. 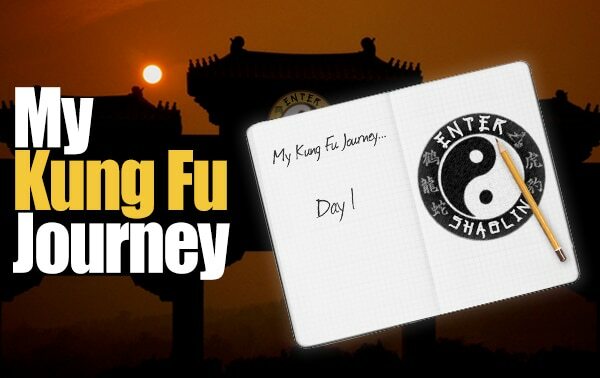 Because you read this far down this blog post, I know you really want to know how to learn kung fu online. If you haven’t gotten our free 5 day Intro video series and Ngo Dac Na Ebook, get it here. When you are ready for more training join our full membership here.